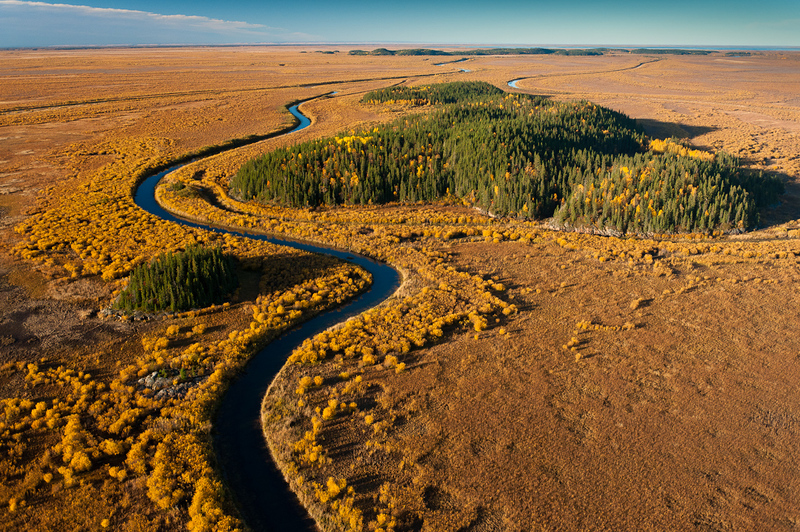 A tributary of the Slave River winds its way through the vast Athabasca Delta, the world’s largest freshwater delta. A "Ramsar" designated site of international importance, both the toxic impact of the Tar Sands, as well as the vast amounts of water drawn from the Athabasca River which flows into it, threaten its ecological integrity. 30"x45" archival pigment print on Hahnemuhle bamboo, bonded to aluminum.